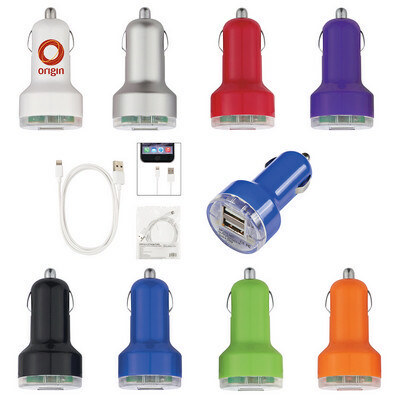 Features: Charge multiple devices on the go with this dual USB car charger thats compatible with most standard cigarette lighter ports. Price includes : 1 COLOUR 1 POSITION PRINT. Setup is included.